Aditya Prasetyo, winner of the $365 No-Limit Hold 'em event. Congratulations to Aditya Prasetyo, winner of the Event #7, the $365 No-Limit Hold 'em. 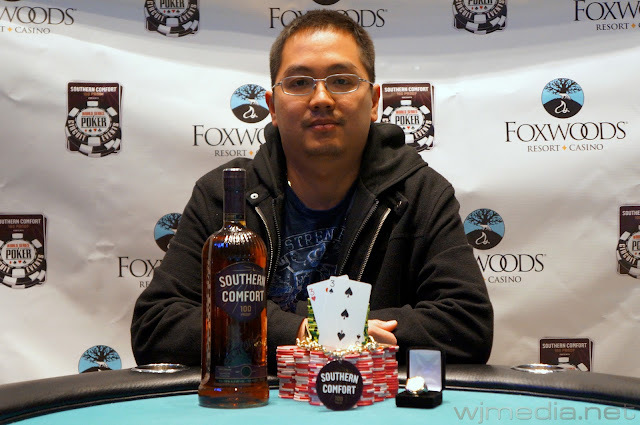 For his victory, he takes home $21,624 and his first Circuit Ring. 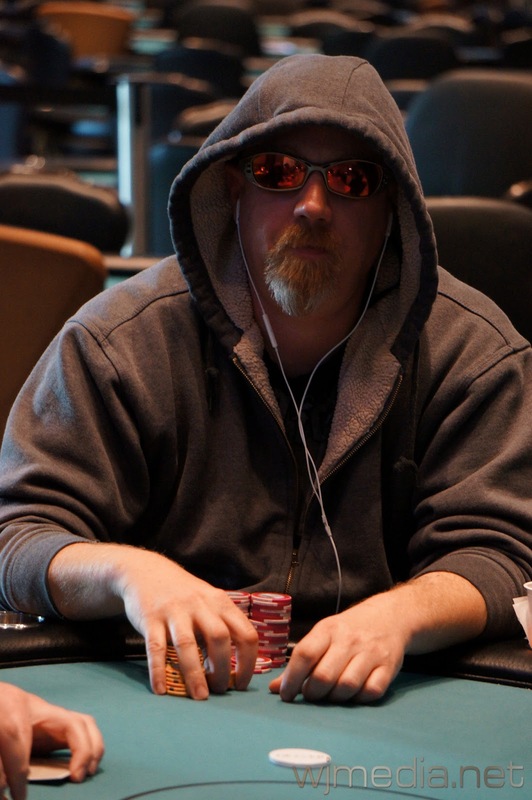 Kurt Jewell gets all-in before the flop against chip leader Aditya Prasetyo. The board runs out [Th][5c][4c][4h][6s] and Prasetyo's pocket threes hold up to win the pot. 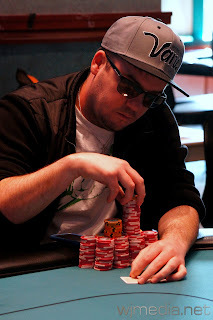 Kurt Jewell is eliminated in second place for $13,369. He still hold five WSOP Circuit Rings, one short of the all-time record. The board runs out [Jd][Jh][Th][Qd][9c] and Jewell takes the pot with two pair. Ken Frey is eliminated in third place, taking home $9,707. 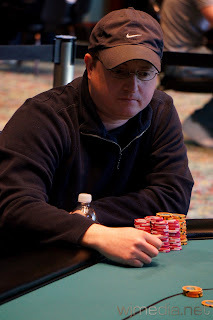 Kurt Jewell opens to 25,000 before the flop and Ken Frey calls. Vinny Maglio then moves all-in for just under 300,000. Jewell announces that he is all-in as well and Frey mucks. The board runs out [Jd][4h][4s][Qs][Jh] and Jewell takes the pot with his two pair. Vinny Maglio is eliminated in 4th place for $7,177. 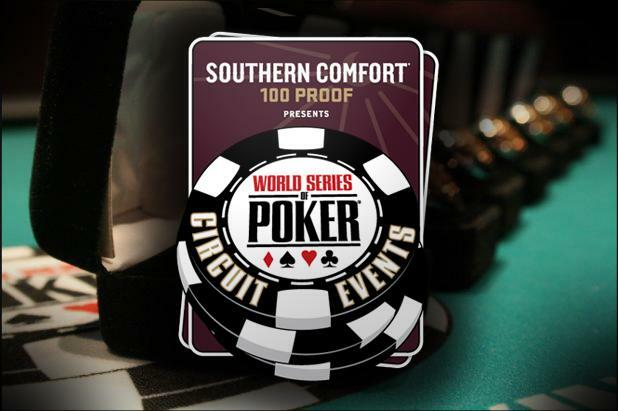 Can't get enough WSOP Circuit action? Be sure to check out the official WSOP Circuit Blog. You can view the Circuit blog by clicking on blog.WSOP.com. 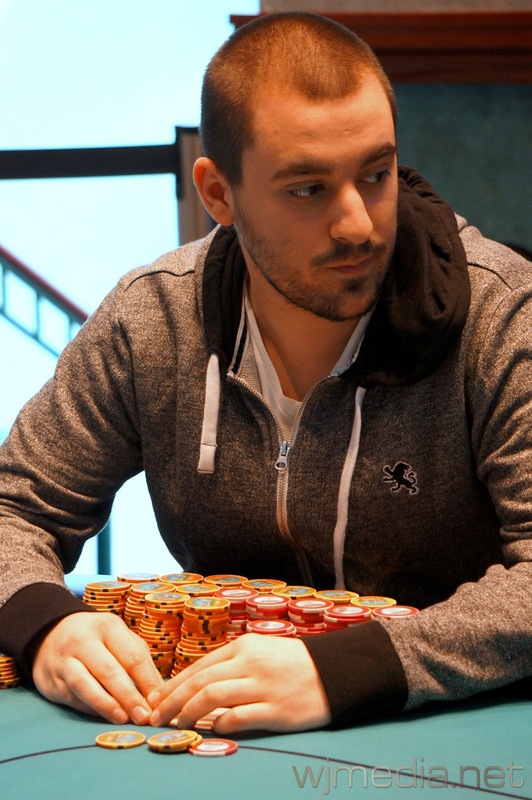 John Coito gets all-in before the flop against five-time Circuit Ring winner Kurt Jewell. The board runs out [Jc][9s][3d][9h][5d] and Jewell improves to a full house. John Coito is eliminated from the $365 No-Limit Hold 'em event in 5th place, taking home $5,383. We had a total of 176 entrants in the $580 No-Limit Hold ‘em Six-Max event at the Foxwoods WSOP Circuit Series creating a prize pool of $88,774. The final 18 spots will finish in the money with first taking $24,857 and the Circuit Ring. $365 No-Limit Final Table Chip Counts. Now Streaming Live. We have reached the final table of the $365 No-Limit Hold 'em event. The blinds are currently 4,000-8,000 with a 1,000 ante. You can watch the live stream of the feature table by clicking on FoxwoodsLive.com. $580 No-Limit Hold 'em Six-Max is Underway. Registration Open until 2pm. Event #7 at the Foxwoods WSOP Circuit, the $580 No-Limit Hold 'em Six-Max, is now underway. Players start with 12,000 in chips and registration will remain open until 2pm. At 2pm today, play will resume in the $365 No-Limit Hold 'em event with 11 players remaining. We will be live streaming that event once cards are in the air. 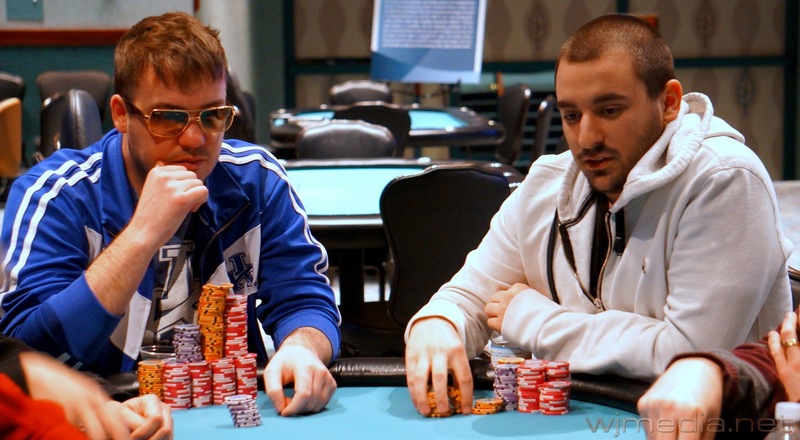 Kurt Jewell (left) and Vinny Maglio in the $365 No-Limit Hold 'em event.